Today, 4π radiotherapy is recognized as a useful therapeutic approach ensuring target-dose conformity while sparing doses to organs-at-risk (OARs). 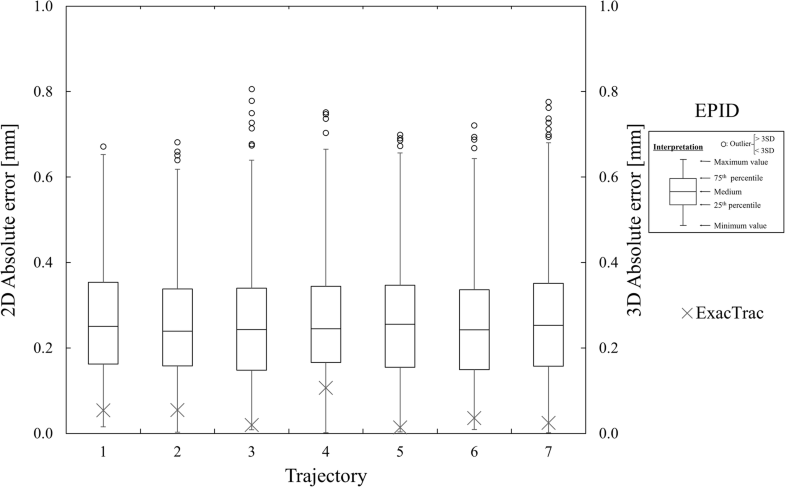 The dosimetric advantages of such therapy compared with coplanar intensity-modulated radiotherapy (IMRT) and volumetric-modulated arc therapy (VMAT) have been demonstrated in planning studies for many diseased sites including the brain [1, 2], head and neck [3, 4], liver , lung , breast  and prostate . Recently, 4π radiotherapy including 4π static beam radiotherapy and 4π arc beam radiotherapy has been clinically implemented using mono-isocentric beams. In a Phase 1 trial, Yu et al. showed that 4π static beam radiotherapy was feasible and safe and associated with dosimetric benefits and high-level delivery efficiency when used to treat high-grade glioma . One form of 4π arc beam radiotherapy, O-ring system-specific non-coplanar VMAT, termed Dynamic WaveArc (DWA), has been clinically implemented in the Vero4DRT system (Mitsubishi Heavy Industries, Ltd., Hiroshima, Japan; and BrainLAB AG, Munich, Germany) [10, 11]. DWA is a continuous, non-coplanar beam delivery technique featuring simultaneous gantry and O-ring movement in the absence of couch rotation. High dose conformity and high-level delivery accuracy have been reported by several investigators [12–14]. 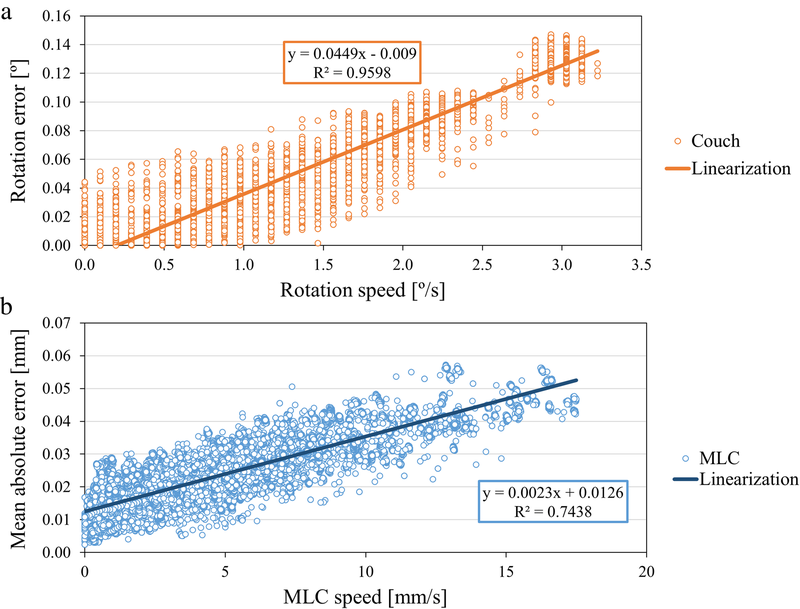 However, 4π arc beam radiotherapy using a typical C-arm linear accelerator, which has been termed non-coplanar VMAT featuring continuous patient couch rotation (CCR-VMAT) has been investigated in research settings [15–19]. Fahimian et al. and Liang et al. performed trajectory-modulated arc therapy featuring a continuously rotating couch by employing the TrueBeam Developer Mode (Varian Medical Systems, Palo Alto, CA, USA) [15, 16]. 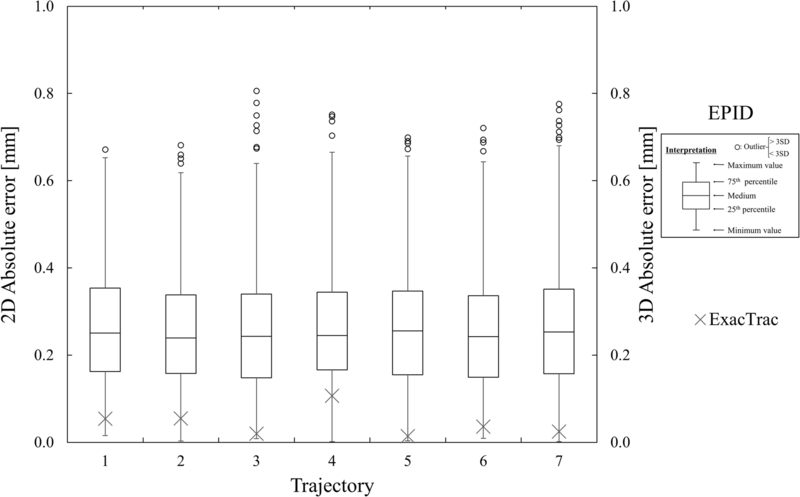 While significant dose-sparing of OARs was apparent, the OARs were not considered during optimization, and no gantry rotation occurred during beam delivery [15, 16]. Optimized, continuous, non-coplanar arc trajectory methods have been developed by several research groups using the TrueBeam Developer Mode [17–19]. MacDonald et al. reported that the dose distributions associated with the developed trajectories (calculated using a dedicated treatment planning system [TPS]) did not consider a VMAT scenario featuring simultaneous gantry and couch rotation. 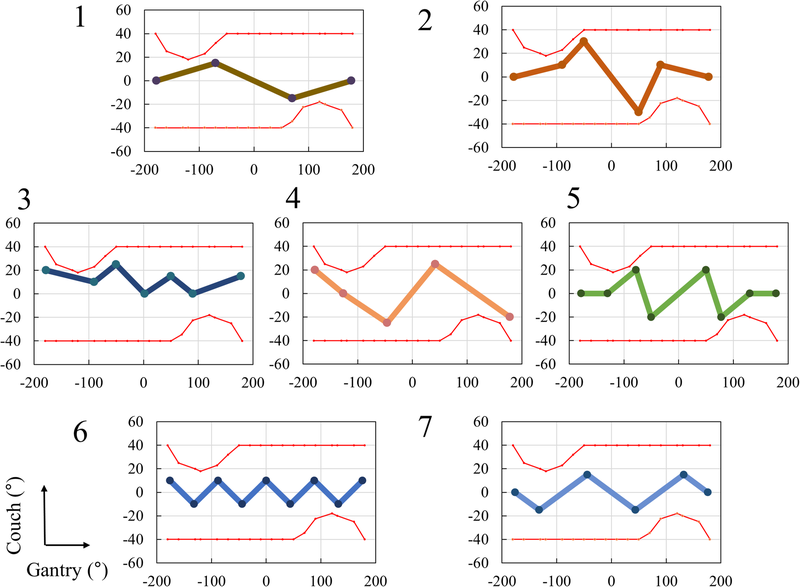 In other words, those authors divided the optimized trajectory into sub-arcs and created deliverable plans by smoothing trajectories into multiple non-coplanar sub-arcs without dynamic couch rotation . Wilson et al. developed an in-house software to create arbitrary trajectories and optimized the dose rate and multi-leaf collimator (MLC) leaf sequence . Recently, Fix et al. developed a CCR-VMAT algorithm, including dynamic gantry, couch, collimator rotation and MLC sequence, with continuous movement while the beam is in operation . Final dose distributions were calculated using the Monte Carlo algorithm provided in the commercially available TPS [19, 20]. 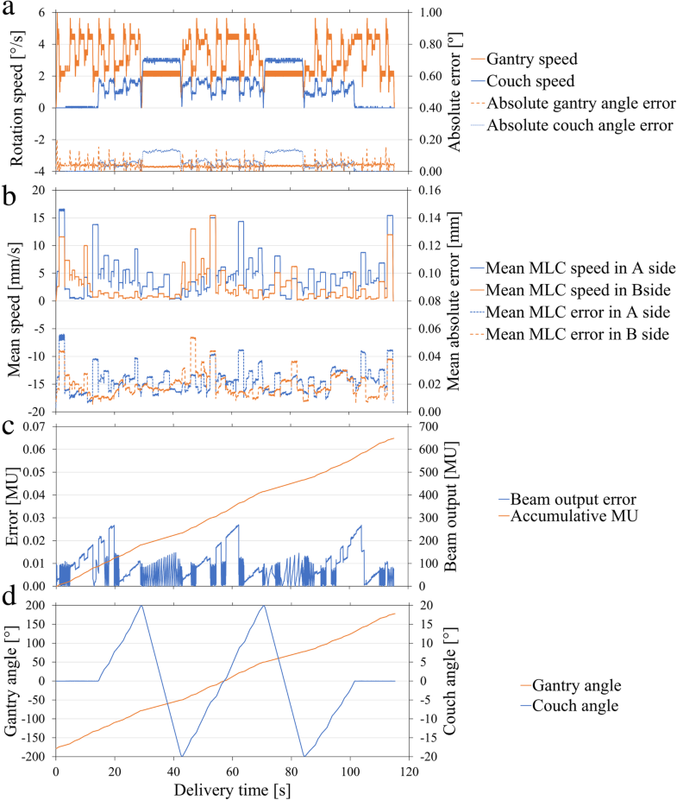 However, the cited authors focused on the efficiency of VMAT during couch movement and these approaches required a dedicated, specific algorithm in the research environment of TPS. To our best knowledge, few reports have engaged in quality assurance (QA) using several non-coplanar trajectories with couch movement. In general, continuous, non-coplanar arc plans that optimize conformal dose distributions are not easily formulated, because it is difficult to avoid collisions between the gantry and couch. Existing, applicable, clinical non-coplanar arc plans are time-consuming because of the need to rotate the patient couch manually. It is well established that CCR-VMAT provides dose distributions, thus enabling the concentrated administration of a sufficient dose within the target volume while minimizing the dose in the surrounding OARs, in addition to the benefit of time-saving [3, 7, 15–19]. For safe delivery of CCR-VMAT plans, dosimetric verification should be a requirement. The average passing rates at the 3%/3-mm gamma criterion, applicable in continuous clinical non-coplanar arc delivery, were greater than 97% for several trajectories . Our experimental results were comparable with the clinical results, despite the combination of TPSs and treatment machines from different vendors . Therefore, our approach can be expected to provide clinically acceptable and deliverable CCR-VMAT plans.